We have the Specialist are at our center. We provide all kinds of repairing from chip level to body fabrication. Shanti Laptop Service give quality laptop repair service of Toshiba Laptop Repair at an affordable Price. We seek to build long-term relationships Laptop repair service on their Toshiba laptop models. No hidden Quotes, No Cheating. Toshiba had always been a trend in Laptop Repair. With the high sale on the market now, TOSHIBA do come with problems and we repair it. We have experience of laptop repairing from 2008. We give quality laptop repair service at an affordable price. Now, we seek to build long-term relationships with devoted customer service on their Toshiba laptop models. To understand the process go through our 3 easy steps. To know more about warranty laptop and charges use our FAQ page. Common Problem solved at Repair Center Mumbai. Toshiba Laptop LCD Screen Repair. Our expert team can cost-effectively find you a cost effective replacement, including installation. Spill liquid on your Toshiba laptop keyboard? We have the answer! Pehaps ! Whole keyboard get replace. You have an Toshiba laptop hard disk failure that requires immediate attention? Our specialists experienced in troubleshooting on a wide variety of hardware problems. Do you have a broken or non-working Optical device ? Do you just want to add a DVD / CD-RW Combo Drive or Blueray drive to your Toshiba laptop? We have the answer! 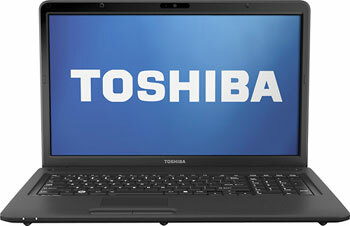 Shanti Laptop provides Toshiba repairs and replacements for all Toshiba laptop models. Motherboard Repair is often an superior choice to replacement. Our Toshiba Motherboard Repair Engineers conduct board level repairs, and replacement of defective parts on all Toshiba laptops.